• Nominated member of the Commission for Amyotrophic Lateral Sclerosis of the Italian Ministry of Health. • Elected member of the directing counsel of the Inter-University Centre for Research on the Molecular Basis of Neurodegenerative Diseases, Italy. 1984 - 1986: post-doctoral fellow at the Dept. of Genetics and Molecular Biology, Faculty of Sciences, University of Rome "La Sapienza" supported by fellowships from the Foundation Anna Villa Rusconi and the Foundation G. and L. Shenker. 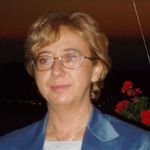 Prof. Carrì has more than 15 years’ experience with neurodegenerative processes caused by mutations in the SOD1 gene, the main cause of the familiar form of Amyotrophic Lateral Sclerosis (ALS). In particular, she is now studying mitochondrial alterations caused by aggregated mutant SOD1. She is author of about 80 publications in international peer reviewed journals, including more than 45 publications on the molecular mechanisms of ALS. 1. Damage to mitochondria has emerged as a central feature that contributes to neurodegeneration in Amyotrophic Lateral Sclerosis (ALS). Recent evidence indicates that mitochondria are one of the primary location of damage inside motor neurons and astrocytes, which both contribute to the disease. Dysfunction of mitochondria is observed early in patients (and in experimental models for ALS) and causes the death of neurons, which underlies onset of paralysis and death of patients (Cozzolino et al., 2008). Mitochondria are ‘the powerhouse of the cell’ because of their ability to convert nutrients into ATP and they also play an essential role in intermediate metabolism and in maintaining cellular Ca2+ homeostasis. However, mitochondria are also the main source of reactive oxygen species (ROS) and function as gatekeepers in the intrinsic apoptotic processes. Thus, mitochondrial dysfunction can result in cell death, either by bioenergetics failure, oxidative stress or apoptosis. In this project, we propose to attempt rescue of correct mitochondria function in experimental models for SOD1-linked familial ALS by genetic manipulation of the p66Shc-dependent molecular pathway which underlies oxidative stress and mitochondrial damage in cells. Indeed, a novel signaling mechanism involving the 66-kilodalton isoform of the growth factor adapter Shc (p66Shc), that is operative in the pathophysiological condition of oxidative stress, has been recently identified. The protein p66Shc is an alternatively spliced isoform of a growth factor adapter that is phosphorylated upon oxidative stress. In this form, a fraction of p66Shc localizes to mitochondria, where it binds to cytochrome c and acts as oxidoreductase, generating reactive oxygen species (ROS) and leading to organelle dysfunction and cell death (Giorgio et al., 2005; Pinton et al., 2007). p66Shc-/- mice exhibit a 30% extended lifespan, reduced H2O2 levels, and an enhanced resistance against oxidative stress, indicating that p66Shc acts as a key molecular sentinel that controls cellular stress responses and mammalian lifespan (Migliaccio et al., 1999). Taking advantage of the p66Shc-/- mice model, which will be available in our lab, we will assess whether it is possible to prevent neuronal damage through preservation of mitochondrial functionality in mutant SOD1 mice. Up to date no effective therapy exists for ALS and only support treatment is administered to patients, that invariably die a few years after onset of symptoms. Individuation of new strategies to intercept damage due to the action of mutant SOD1 on mitochondria may allow devising new therapeutic approaches. 2. The objective of this study is to understand whether rescue of mitochondrial damage in ALS is possible through the modulation of the Rac1 pathway. Rac1 is a member of the Rho family of small GTPases that regulate multiple signaling pathways controlling the organization of cytoskeleton, gene expression, and cell proliferation. Rac1 is also an essential regulator of NADPH-dependent membrane oxidase (NOX) that produces superoxide anions. In a previous study we have demonstrated that 1. expression of mutant SOD1 in neuronal cells is accompanied by decreased activity of Rac1; 2. Rac1 inhibition is oxidative in nature and possibly linked to mitochondrial damage; 3. expression of a constitutively active, dominant form Rac1 protects neuronal cells from mutSOD1-induced mitochondrial damage and apoptosis. Thus, activation of Rac1 seems a promising target for ALS treatment. 3.	to attempt rescue of G93A-SOD1 mice by treatment with Cytotoxic Necrotizing Factor 1 (CNF1), a bacterial protein endowed with Rho GTPase activating properties. Results from this study may allow collecting further evidence that it is possible to prevent neuronal damage through preservation of mitochondrial functionality and help to devise new strategies for the therapy of ALS. amyotrophic lateral sclerosis (ALS). PLoS One. 2011 Mar 18;6(3):e17187. 3:Lenzken SC, Romeo V, Zolezzi F, Cordero F, Lamorte G, Bonanno D, Biancolini D,Cozzolino M, Pesaresi MG, Maracchioni A, Sanges R, Achsel T, Carrì MT, Calogero RA, Barabino SM. Mutant SOD1 and mitochondrial damage alter expression and splicing of genes controlling neuritogenesis in models of neurodegeneration. Hum Mutat. 2011 Feb;32(2):168-82.
motor cortex of G93A mice, an amyotrophic lateral sclerosis model. Mitochondrion. 2010 Mar;10(2):108-14. 6: Arciello M, Capo CR, Cozzolino M, Ferri A, Nencini M, Carrì MT, Rossi L.
Inactivation of cytochrome c oxidase by mutant SOD1s in mouse motoneuronal NSC-34 cells is independent from copper availability but is because of nitric oxide. J Neurochem. 2010 Jan;112(1):183-92. 8: Kupershmidt L, Weinreb O, Amit T, Mandel S, Carri MT, Youdim MB. drugs in motor-neuron-like NSC-34 cells and transgenic mouse model of amyotrophic lateral sclerosis. FASEB J. 2009 Nov;23(11):3766-79.
culture model of motoneuron disease. BMC Neurosci. 2009 Jun 22;10:64.
countermeasures. Antioxid Redox Signal. 2009 Jul;11(7):1519-22. 11: Cozzolino M, Pesaresi MG, Amori I, Crosio C, Ferri A, Nencini M, Carrì MT. mitochondrial damage and cell toxicity. Antioxid Redox Signal. 2009 Jul;11(7):1547-58. 12: Pizzasegola C, Caron I, Daleno C, Ronchi A, Minoia C, Carrì MT, Bendotti C.
SOD1. Neurobiol Dis. 2008 Dec;32(3):454-60.
through proteasomal degradation but survive by autophagy-dependent glycolysis. Mol Biol Cell. 2008 Aug;19(8):3576-88.
developments in the laboratory to clinical implications. Antioxid Redox Signal. 16: Carrì MT. Minocycline for patients with ALS. Lancet Neurol. 2008 Feb;7(2):118-9.
induction of oxidative stress. Neurobiol Dis. 2007 May;26(2):342-52.
implications for neurodegeneration. J Neurochem. 2007 Jan;100(1):142-53.